All too often property owners sign up an agent and engage them to sell their property as either their sole agent or exclusive agent without really appreciating the difference between the two. 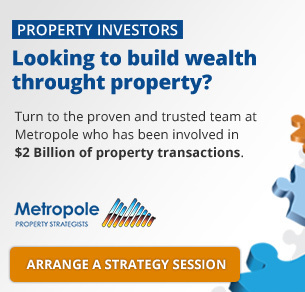 Some investors too think that they should only ever sign a sole agency just in case they sell the property themselves and can therefore avoid payment of commission. Careful thought needs to be given to this issue. You may not be as cute as what you think you are in reserving to yourself the right to sell a property under a sole agency and theoretically avoid paying commission to the agent. At the end of the day are you really going to put that much effort into selling the property yourself and if you are, then that raises the whole issue of whether you should be doing the whole job yourself and not sharing it with an agent. Not thinking this matter through can be a great disservice to yourself. If you engage an Agent it is important not to disincentiveise them. You must ensure that you are both working together as a team if you are having some involvement in the sale process yourself. Let’s just start then with the basics. There are three ways that you can engage an agent. This general style of appointment means that the agent only gets paid if they themselves find a Buyer and sell the property. If you or another agent sells it then no commission is payable to them. You appoint many agents under this appointment structure. “I just let them all fight it out amongst themselves about who gets what commission. I don’t want to be playing favourite and engaging one to the exclusion of the other, let alone trying to sell it myself under a sole agency. 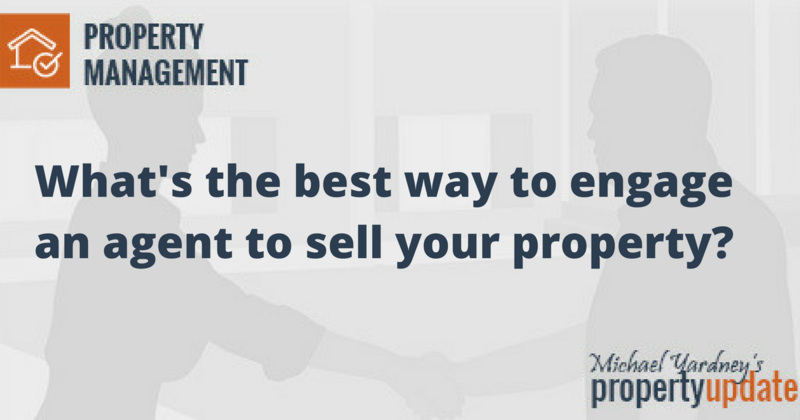 Under this method of engagement only one agent is officially engaged and the agent will always get paid if they or another agent sells the property, but not if you find a Buyer and sell it yourself. 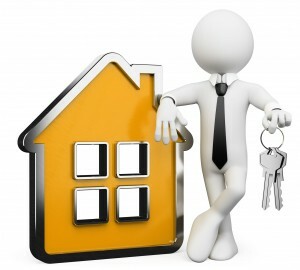 An agent will generally not feel so vulnerable about only being appointed as a Sole Agent, rather than an Exclusive Agent, if you have really done this to allow yourself to sell the property if your neighbour say, makes an offer to buy the property from you direct after you list it for sale. That chance is usually more of a fluke than anything else and that is why a lot of agents generally won’t feel threatened by it and often will agree to it. This is the ultimate recognition of your confidence and/or loyalty in an agent as you appoint them (eliminating all others) to sell the property for a fixed period. With residential property this is usually for 60 days and with commercial real estate typically 90 days from date of commencement of the marketing program. Regardless of who secures the outcome of selling the property (yourself, the agent or any other agent) the Exclusive Agent will get full payment. To appreciate this issue of disincentiveing the agent and the importance of ensuring that all efforts to sell the property are a team effort, let me share with you a couple of real life examples where people genuinely appointed the agent as a Sole Agent, and not Exclusive Agent, without this working against them. One case was the sale of a very large cattle property in New South Wales where the owner of the smaller adjoining property had on many occasions at local district social events told the owner that if they ever wanted to sell the property, and actually put it on the market for sale, they would welcome the opportunity to buy it. When the owner eventually advised them that they were now sellers the neighbour still showed some interest in acquiring it, but not enough to sign a Contract of Sale. So, the owner approached their favourite Agent to start an Auction sales program. Some serious negotiation however took place between the agent and the owner about whether the owner appointed them as their Sole Agent or Exclusive Agent (the owner didn’t want to pay commission if the neighbour did eventually buy). The agent pointed out that if they accepted an engagement as Sole Agent and the neighbour bought the property, all of their efforts and hard work would amount to nothing as they would receive no remuneration. The owner’s point was that if the neighbour bought it then this was as a result of their efforts and not the agent’s, so why was it fair that they were paid anything. 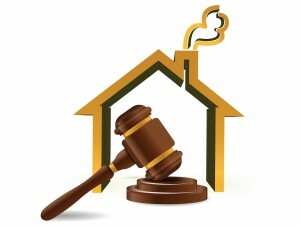 The compromise reached between them was that the agent was engaged as an Exclusive Agent but on the basis that if the property was sold to the neighbour (and the neighbour signed the Contract of Sale before the auction date), then no commission would be payable as the Seller’s claim about the sale being brought about as a result of their efforts was valid. The agent’s point was though (and the Seller agreed) that if the Buyer came to the auction and bought on or after the auction then it was as a result of the agent’s good work and marketing efforts that they bought the property and therefore commission should be payable. A sensible and reasonable comprise and one that ensured that the owner and the agent worked together as a team. Another example involved the sale of a commercial property. The property was placed on the market for sale by way of Expressions of Interest. This is a process whereby the property is advertised for sale inviting people to express an interest in buying it and at the end of the marketing period, say 4 to 5 weeks, the date for lodgement of Expressions of Interest closes. The Seller would then consider all Expressions of Interest and ideally negotiate the terms of a Contract of Sale with the party that showed the best interest. A Contract of Sale would usually be entered into with them in say, a couple of weeks later. In this case the owner of the property wanted to secure the agent as a Sole Agent only and market the property jointly with the agent i.e. they would conduct advertising through Investor Magazines and Professional Journals with the agent conducting advertising through the usual print media i.e. national and major state newspapers. The owner proposed to the agent that they would be paid only if they sold the property or if some other agent sold it, but in the event that the owner sold the property themselves no commission would be payable. A very unenthusiastic agent called the owner to place this issue on the table as a major impediment to their involvement in the sale process (delicately put, I thought). 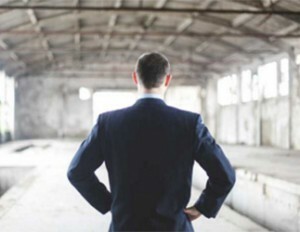 The agent’s point was that the fact that the owner could sell the property themselves was a major disincentive to them. Buyer noticed the property for sale in an investor magazine on the same weekend that they saw it advertised for sale say in the Financial Review. They then realised that the Vendor was attempting to sell the property themselves as well as the agent. Human nature would lead them to approach the owner direct then, rather than the Agent, on the assumption this would achieve a purchase at a lesser sale price as no commission was payable. How do you resolve such an impasse so that the agent and the owner work together as a team and the agent is not disincentiveised? The solution was that the agent was appointed as an Exclusive Agent, but on the basis that if the owners sold the property themselves through their marketing and efforts (legally called “the effective cause of sale”) then the agent received 50% of the normal commission. The agent therefore was highly motivated to sell the property themselves and secure their full commission, but didn’t feel cheated if the Seller ultimately sold it as they would receive a minimum of 50% of the commission. 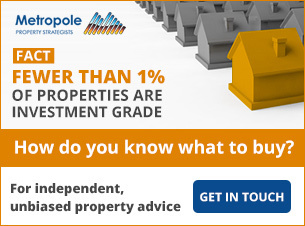 In New South Wales and Queensland the Real Estate Industry recognise the three methods of marketing discussed in this column and allow you as an investor to appoint your agent on the basis of any of the three. 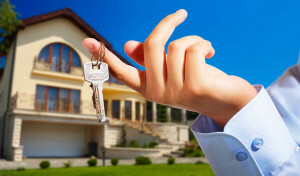 Each State is different however as each State has its own laws and Real Estate Industry Body. They recommend to their members (real estate agents) Sales Appointments which don’t all offer the three styles of appointment. You must therefore read the document given to you by the agent to formalise their appointment so you understand what your options are in engaging them. In Tasmania for example, a Sole Agency and Exclusive Agency mean the same thing and your legal obligation (if you use standard industry documentation in that State) under the Sole and Exclusive Agency is that the agent gets paid if the property is sold by you, the agent you appointed or any other agent. At the end of the day your obligation to pay the agent is dependent upon the terms of what you sign with them, so read it carefully.